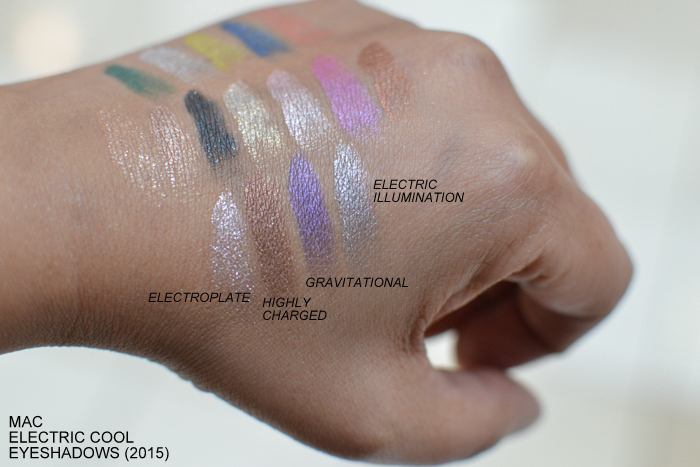 I have not been a huge fan of cream eyeshadows in the past because most of them never stay on my oily lids and crease a lot, but newer cream eyeshadows definitely have much better, longer lasting formulations with textures like richly pigmented powder eyeshadows. 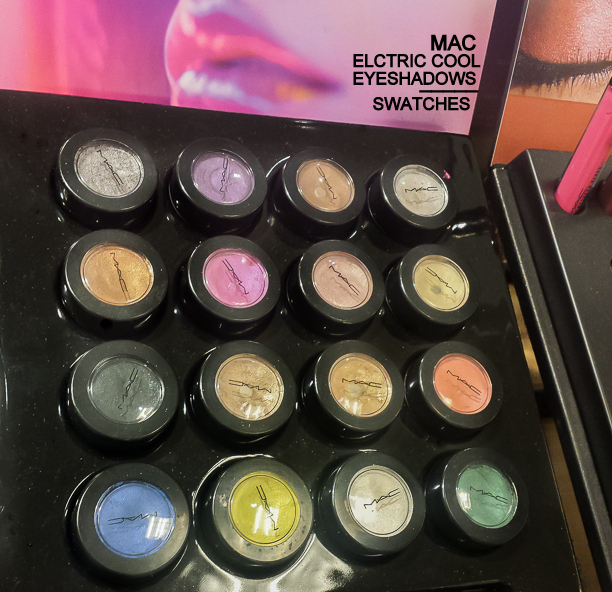 MAC Electric Cool eyeshadows seem to follow this trend. The colors are bright, vibrant, and intensely pigmented. 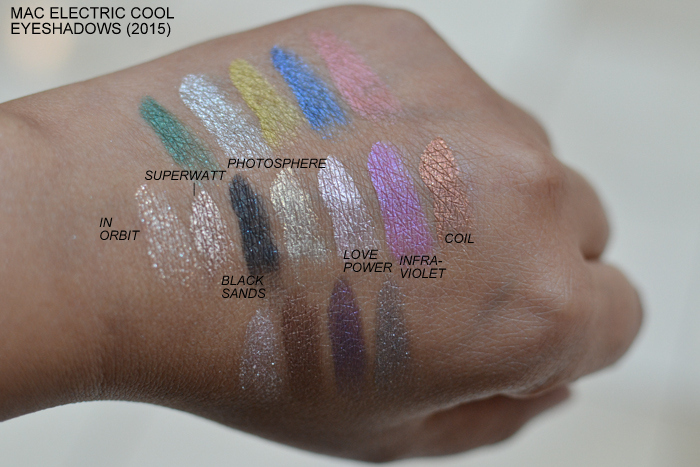 My favorites among these would be all the bronzey browns and neutrals - Coil, Highly Charged, Superwatt, Dynamo. 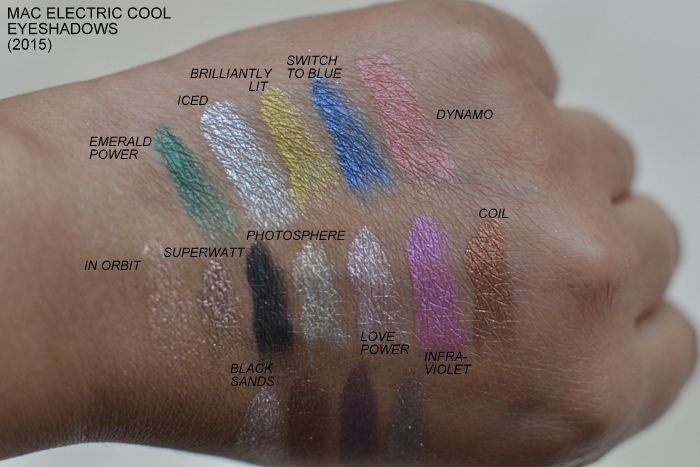 I haven't tried these on my lids to know anything about their lasting power, but there are some lovely colors in this range, and if you are in the market for some easy to use cream eyeshadows, then do give these a try.